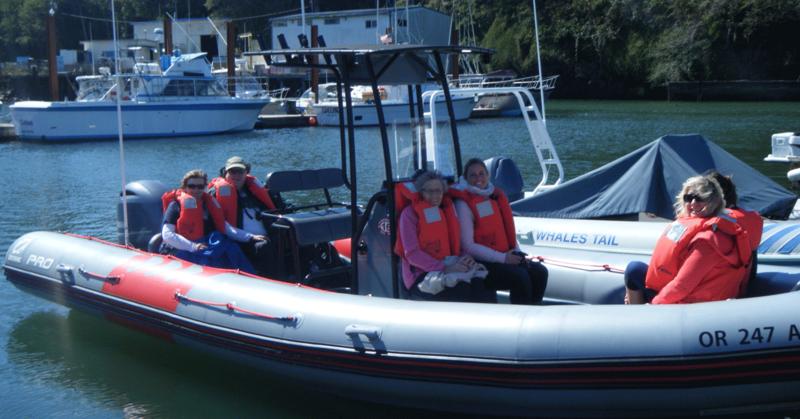 Whale's Tail Charters is dedicated to ensuring that your time spent whale watching with us is the highlight of your Oregon vacation. Our boats provide passengers with the adventure of a lifetime through excellent customer service, seamanship, first class vessels, and highest possible safety standards. So sit back and enjoy as we take you on the ultimate whale watching tour!